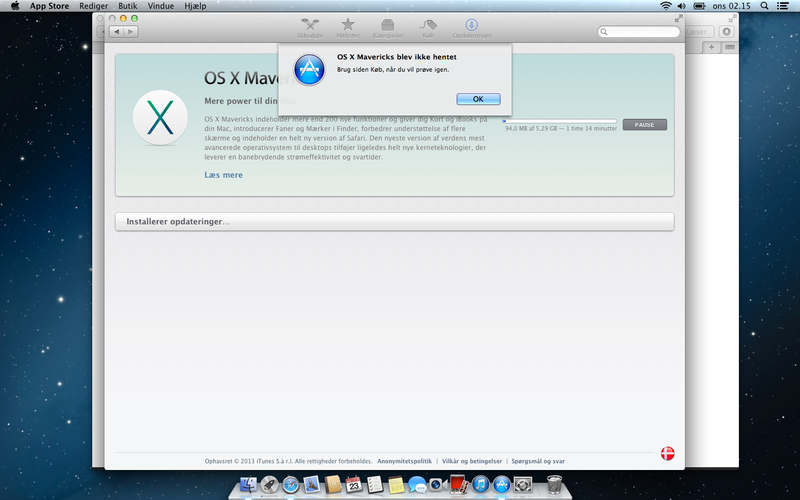 Discussion in 'OS X Mavericks (10.9)' started by iLive, Oct 22, 2013. I can't finish downloading OS X Mavericks on my 2013 MacBook Air. When I attempt to download it from Mac App Store it says after having downloaded for some time: "OS X Mavericks did not install." (translated from Danish). I've attempted to restart my device and delete the file but nothing works. What's wrong, and what can I do? The OS X upgrade couldn't' be started because the disk Macintosh HD is damaged and can't be repaired. After your computer restarts, back up your data, erase your disk, and try installing again. Click Restart to restart your computer and try installing again." I'm trying a 2nd pass on the install then traveling 85 miles to my Time Machine for a restore. See other failure threads for ideas.